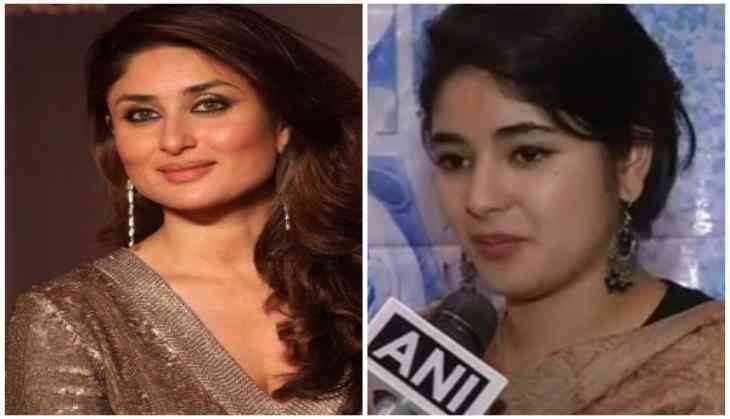 "Women are fighters", said Bollywood star Kareena Kapoor Khan in response to Zaira Wasim's alleged molestation on a flight. Speaking at the red carpet of the Lux Golden Rose Awards on Sunday, the 'Udta Punjab' star said women are "way more superior than men". "Whatever the situation might be in our lives -- be it personal or professional -- we all come out as fighters. We call our god Laxmi, we pray to her and she is a woman, and when we talk about our land, we call it motherland... So, women are way more superior. We will fight out of every situation in life," Kareena said. Actress Bhumi Pedneker, who was also present at the event, condemned the incident and said she is "appalled". "She is a child. There is a problem in our culture where people think, especially if you are an actor, that you are their property. This is hugely problematic. But I am very happy that she put it out on social media. I am glad she took that step because you need a lot of courage to speak out and take a stand for a thing like that. More power to her," said the 'Toilet: Ek Prem Katha' star. While talking about the same, 'PINK' star Taapsee Pannu said she hopes the 17-year-old gets justice. "It is good that at least she has raised her voice rather than keeping silent about it. She deserves to get justice," she said. The 'Dangal' star, on Sunday, alleged that a middle-aged man sitting behind her on flight tried to molest her. She shared the ordeal she had to go through en route Mumbai in the flight in an Instagram story. Reportedly, the man was caressing her neck while she was asleep. She tried to record what the man was doing, but failed due to dim lights. The passenger has been arrested by Mumbai's Sahar Police.